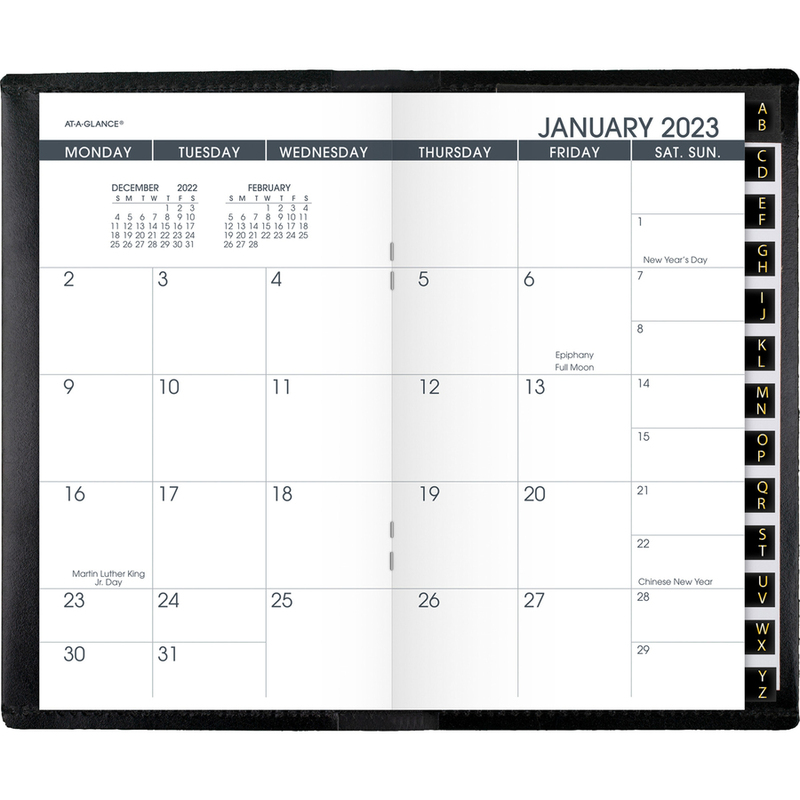 Monthly planning is easy with this deluxe monthly pocket planner. It is small enough to be taken anywhere and can help you keep track of your busy life. It even has space for you to store important phone numbers, addresses and notes. Dated planning pages range 13 months from January to January. Two-page-per-month spreads include unruled daily blocks, Monday-through-Sunday scheduling, holidays, and past and future months reference. Saturday and Sunday have half blocks. Staple-bound planner includes a separate indexed telephone/address (wirebound) section, memo section and simulated leather cover. 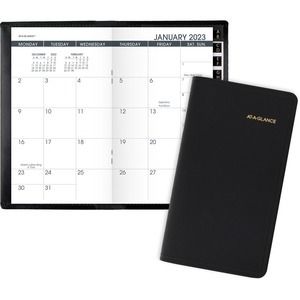 Appointment book, memo pad and tabbed telephone/address section are refillable.